This quote captures an important topic: the parents of special needs children. Parents of children with autism and their families work extremely hard to get what their child needs from educational services, behavioral intervention, social skill training, and specialists’ appointments. They also spend time battling health insurance, and school districts, among others, just to cover the basics of what their children need often finding a huge gap between need versus. what is covered. Many of these parents are working second jobs to help make ends meet. The cost of autism is in the billions (1), but what we have not calculated is the cost of the health and well being of some parents. As a parent of a teen with autism – I will be addressing a story for another time is a blog on our child’s health. As they become teens we need to step up their exercise and health goals. More on that later and back to you! For the most part, parents are often focused on their child’s health. What their kids eat, removing all allergens, balancing what the body is missing with nutritional supplementation, and removing inflammation. All of these steps leave little time to be a wife or husband, and take care of the rest of the family members. 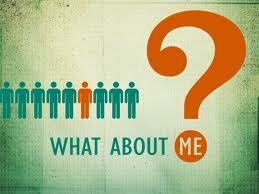 Which begs the question: WHO IS TAKING CARE OF ME? What is missing in this equation? Balance. Somehow we (parents- me… you!) fell off the priority list. We are focused on our kids from the moment we wake up to when our eyes close from exhaustion. This has to change. It changes with one step (no pun intended.) What I have found with TACA families is that if you mix getting healthy with some autism support, parents feel less guilty being away from their families. It was my first half marathon. My time was anything but impressive. What was impressive was having taken the time to start training to extend my casual runs into longer and more frequent workouts. I watched many other TACA families do the same thing. Some of my friends hadn’t run in years. 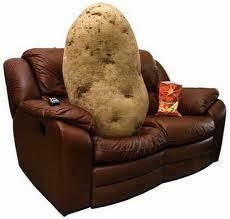 They fondly referred to themselves as “couch potatoes”, and I cannot say I was much better. My workouts lacked focus and intensity. They barely kept me healthy. Train4Autism (3) solved this dilemma. They understood that time was a huge issue and that perhaps we were not in our best shape. They designed workout programs that took us off the sofa from watching reality TV to being paired up in group runs at every level. Many of us walked and ran to get started. It wasn’t too long before we were running 3, 4, 8 and 10 miles. Training was easy and each week the planned run was sent via email. Inspirational “how-to’s” were “sprinkled” in each weekly message. During one of the training weeks, Southern California was hit with a pretty big rainstorm. The trainer asked if we still wanted to meet. The resounding answer was profound. “A downpour of rain won’t stop a parent living with a child with autism.” Sure enough 20 runners ran that morning through several inches of rain and cold. We weren’t your run-of-the-mill folks, we became focused runners. This blog post is dedicated to those of you thinking “I can’t do that!! !” because I know that if you have a child with autism you can accomplish ANYTHING and with much purpose. Our friends at Train4Autism can help you. Any race, in any state can be dedicated to your personal training goals and help you raise funds – even for TACA’s mission and programs. 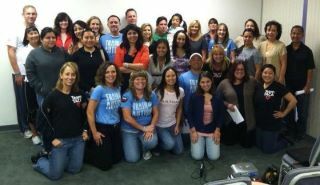 We are getting ready again in Southern California and I welcome TACA families to join us! There is a 5/10K run that is just right for us. TACA will be a big part of the San Clemente 5k/10k run benefiting Hope 4 Hanna on October 21st. For parents who are interested, we are kicking off this event on July 30, 2012 at 5pm at the TACA Office in Irvine. You can sign up via trang.nguyen@tacanow.org. Don’t be afraid, be inspired! Don’t live in the OC and want to improve your health? NO worries. Lets us know you are interested in running and we can help you train for a 5K to a half marathon and beyond! It is about our health. We have to be here for our kids. And Chef LaLa had it right – if we don’t address our health now, we will be paying for that decision later. We need to always be there for them. It takes a first step, let TACA help you. This blog brings me so many thoughts and emotions. As a parent of child with autism I too used to think I did not have time to exercise or that taking the time would e selfish and unfair for my family. November 2008 those ideas change to “I don’t have the time to wait to start exercising” and “exercising is self less not selfish”. For those of you who do not know me and think what could have made her thought pattern change so dramatically? It was that call from my oldest, than 19, saying “Mom, I’ve called an ambulance, dad is sick,” then quickly she says I have to go they are here. At this point I’m in northern California and good drive from home. Ed, age 39 then, had had the flu so I was thinking dehydration. A few hours later when the doctor called that all changed and so came about my dramatic change in thoughts on exercise and health. The doctor called about 8:00 pm and told me that my husband had liver and kidney failure and a 40% chance of having a heart attack! Bam! I was breathless and hyper ventilating all at the same time. If something happened to Ed how I take care of 4 children on my own. How would I be able to handle Austin as he got bigger and stronger than me. I’m my go… something had to change. And it did, my attitude change, my eating habits, my exercise habits all changed. They changed even before Ed left the hospital after a triple bypass and 2 week stay. I found my self seeking the stairs to walk through the hospital. I found myself seeking out the healthy choices the cafeteria had to offer. By August 2009 I had lost 50 pounds, I kept 35 of it off, until Feb of this year and another small health scare for Ed. Up to this point Ed ate better but had not really sought weight loss. This sent me on my quest for not just weight loss but better fitness and health. I started a 25 minute day fitness video for 30 Days each of the three levels. In 120 days I lost 20 inches and a couple pounds. I also started dropping E off at work and he started walking the 4 miles home each day. He has now lost 45 pounds. It is amazing how much more energy we have now. How most days we will walk the 1/2 mile to the grocery store if we need something. We will walk the 1 mile to the park to let the kids play, yes the kids, including Austin walk with us! My attitude is better and I get more things done when I exercise. Your family and your health are worth 30 minutes a day of mental and physical well being for you the parent. Exercise is self less and gives your family the opportunity to have you there for them as long as possible. When you think you can’t do it. You can. Even 3 – 10 minutes walks a day until you can work up to 30 minute exercise program will change your outlook and your body will follow. Did you all know that the park with the kids can provide you a low impact full body work out? It’s called swinging! Makes you feel like a kid, get your vitamin D3 in and uses lot of muscles throughout the body when you do it correctly! Once again, Lisa Ackerman nails it – “We have to be here for our kids.” It’s what was on my mind last year when started running. In the last twelve months, I ran over 500 miles, lost over 25 pounds, and gained great peace. The days I run/workout, I have more energy, patience, and I’m a better Mom to my son.